Snag, the hourly work platform that helps connect employees to employers, held its annual HourMinds conference earlier this year. The event brought together more than 350 industry experts and enthusiastic employers who came together to trade tips, tricks, and stories from the frontlines. This year's event saw four primary trends occurring in the hourly worker space. Here's what was buzzing at the conference. In the age of Uber and Lyft, the gig economy is here to stay. But it goes beyond on-demand drivers and Millennial workers. The conversation in a panel on shift optimization revolved around how gig work is affecting everyone in the hourly workforce, as well as how employers share shifts. Brands using on-demand shift-staffing tools agree there are still a few growing pains. But they believe "it's the right battle to fight" in the war for talent. 2. "Underemployment is more than a trend--it's a crisis"
Workers desperately need more hours and employers are realizing that underemployment is the new (scary) normal. After surveying 2,000 hourly workers earlier this year, Snag discovered just how much this trend was growing. Now employers are sharing their own tactics for ensuring their employees are getting enough shifts. From offering extra hours as a perk to testing out more effective scheduling techniques, employers are learning that tackling underemployment is key to solving its symptoms--such as high turnover and low app flow. Having the right data can make all the difference when it comes to finding the workers you need for your business. We heard firsthand how managers are diving into their recruiting funnel metrics in Snag--including time to fill, retention rate, etc.--in order to improve processes and drive greater frontline efficiency. Being able to hone in on where their process needed the most attention gave major brands the chance to cut down on applicant drop-off and gave their location managers the info they needed to make smarter hiring decisions. There's always room to improve. Having visibility across your entire recruiting funnel performance helps your team prioritize the highest-impact areas and solve for real root cause--not symptoms. The equation is simple: happier frontline workers = happier customers. It's all part of the "Virtuous Cycle of Enlightened Hospitality," as Danny Meyer put it at HourMinds 2017. This year it was clear companies are doubling-down on employer branding to attract and retain those happy employees. From internal rollout campaigns to website overhauls to in-store banners, brands are putting frontline workers front-and-center. 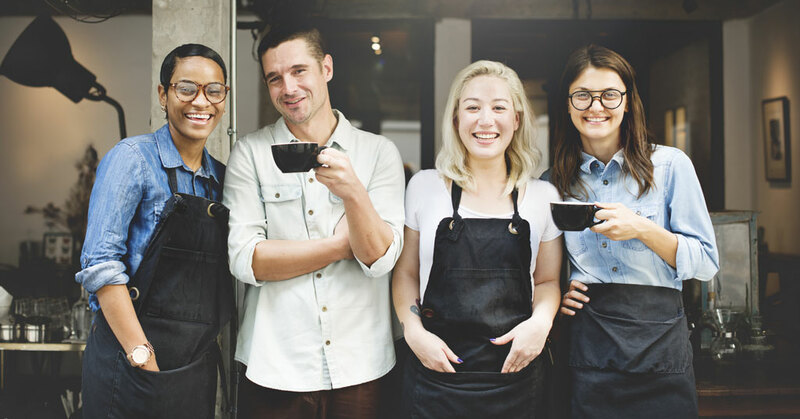 They're differentiating themselves more on workplace culture and opportunity vs. wages...and they're hoping to see it pay off in greater employee loyalty and engagement. As Scott Colosi, president & CFO of Texas Roadhouse believes: "If you're proud to work for any organization, you're going to be more engaged."